David and Emma were thrilled to accompany their mom to London to watch the filming of her movie. They were even more excited when they found out the movie would be set in an abandoned subway station! When the brother and sister decide to explore the old, crumbling station, however, they hear the cries of a ghostly child— just as they spot a phantom subway train barreling toward them. Soon, they find themselves becoming part of a terrifying story that took place more than 70 years ago! What will happen if David and Emma step aboard the ghostly train? The answers can be found in the maze of passageways and dark tunnels deep below the streets of London. Join David and Emma as they step into the past to uncover the terror in the tunnel. 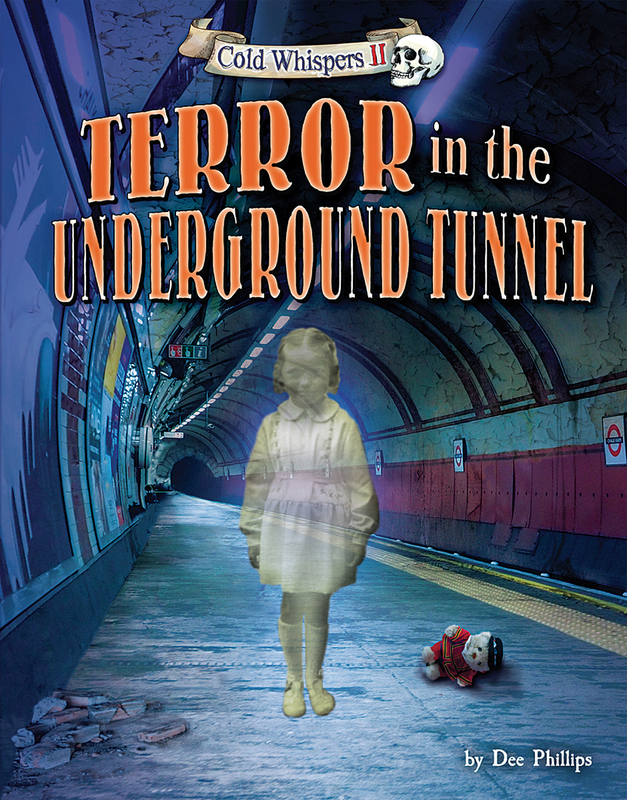 Terror in the Underground Tunnel is part of Bearport's Cold Whispers II series. This bone-chilling book is the fiction companion to Dark Labyrinths from Bearport's best-selling nonfiction series Scary Places.